서봉사의 창건에 대한 기록은 없고 절터의 크기로 보아 아주 큰 규모의 절로 추정된다. 전하는 말에 의하면, 임진왜란 때 절에서 떠내려오는 쌀뜨물이 10리나 흘러내려와 왜적이 물을 따라 올라가서 절을 불태웠다고 한다. 이곳은 탑비의 비각을 세우는 공사를 하던 도중에 기록이 남아있는 기와조각이 발견되어 서봉사의 옛터임이 밝혀졌다. 명종 15년(1185)에 세워진 이 탑비는 현오국사(玄悟國師)의 행적을 후대에 알리고자 만들어졌다. 보통 부도와 함께 건립되는데 절터에 부도의 흔적은 없고 이 비석만 남아 있다. 화강암의 비받침위에 점판암으로 만들어진 비몸돌이 놓여있는 단촐한 모습이다. 비받침부분의 윗면은 4변을 비스듬히 잘라내었고, 비문이 새겨지는 비몸에도 윗부분의 양 귀끝을 사선으로 접듯이 잘라서 마무리하였다. 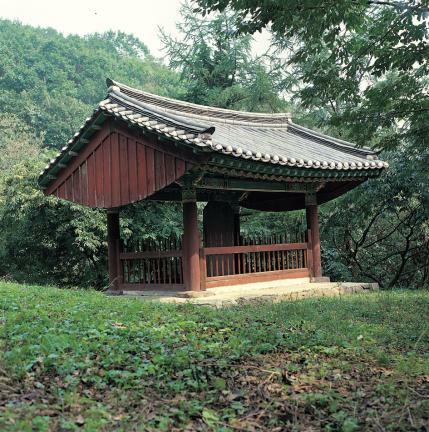 비문에 의하면, 현오국사는 15세에 불일사(佛日寺)에서 승려가 된 후 부석사(浮石寺)의 주지를 거쳐 명종 8년(1178) 53세의 나이로 입적하였다. 왕이 크게 슬퍼하여 국사(國師)로 삼고 시호를 ‘현오(玄悟)’라 한 뒤 동림산 기슭에서 화장하였다. 그 외에도 글을 지은 이와 건립연대 등이 기록되어 있다. 전체적인 조형이 간략한 고려 후기 석비의 새로운 양식을 보여준다. 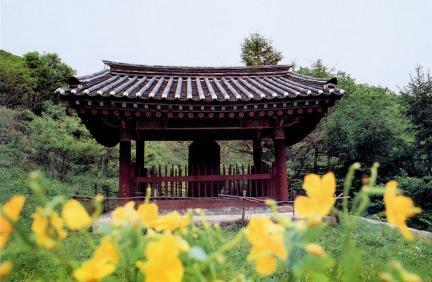 There is no record about the construction of Seobongsa Temple, although it is presumed to have been a large temple judging by the size of the site. It was said that during the Japanese Invasion of 1592, the enemy burned down the temple upon seeing water from recently cleansed rice flowing from the temple. 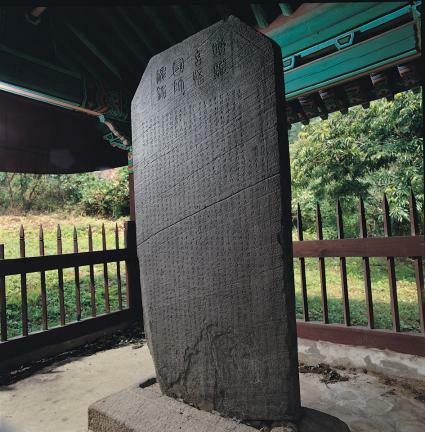 It was identified as the site of Seobongsa Temple with the discovery of a roof tile inscribed with a record of Seobongsa Temple during the construction of a house over the stele. 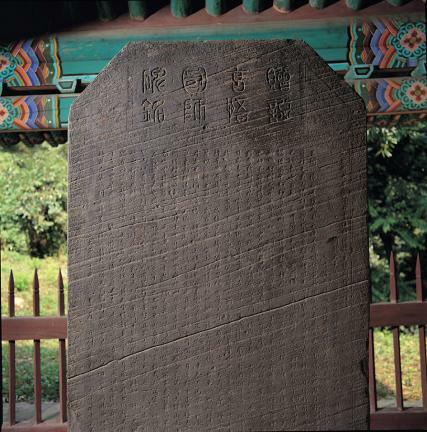 This stele was erected in the precincts of Seobongsa Temple in 1185 (the 15th year of the reign of King Myeongjong) to commemorate the achievements of State Preceptor Hyeono. 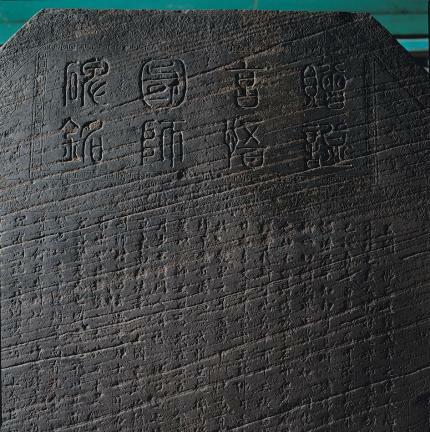 Although steles are usually built with a funerary stupa, there are no traces of a stupa at the temple site, and only the monument remains. 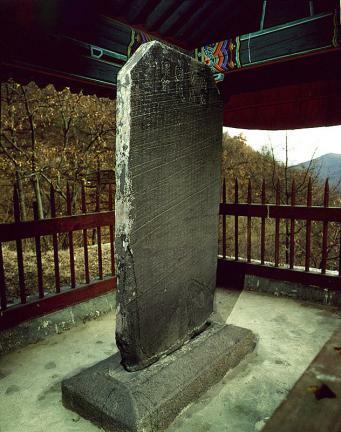 The stele is a simple structure consisting of an argillite main stone and a granite foundation stone. The four upper corners of the foundation stone were cut off diagonally, while the two upper edges of the main stone were cut off obliquely. 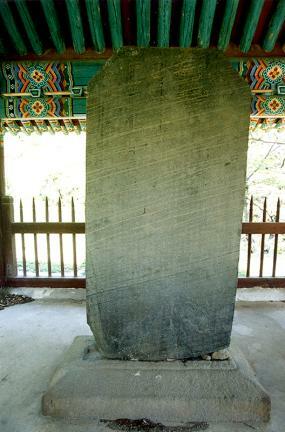 According to the inscription, State Preceptor Hyeono became a monk of Burilsa Temple at the age of 15, and later became the head monk of Buseoksa Temple until his death at the age of 53 in 1178 (the 8th year of the reign of King Myeongjong). He was cremated at the foot of Dongnimsan Mountain. 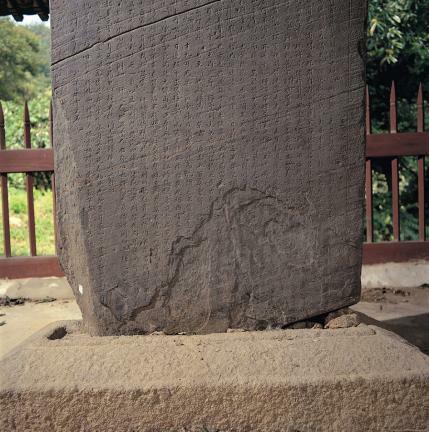 The king, having appointed him as State Preceptor, bestowed upon him the posthumous title of Hyeono. 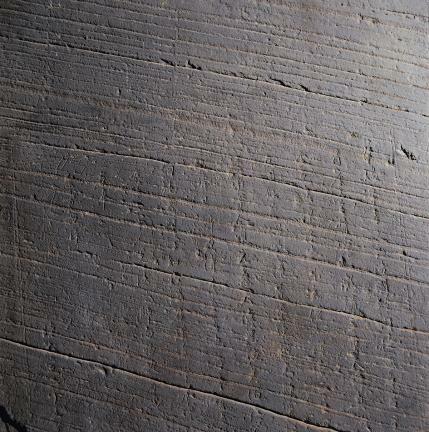 In addition, the author of the inscription and year of construction are recorded on the monument. 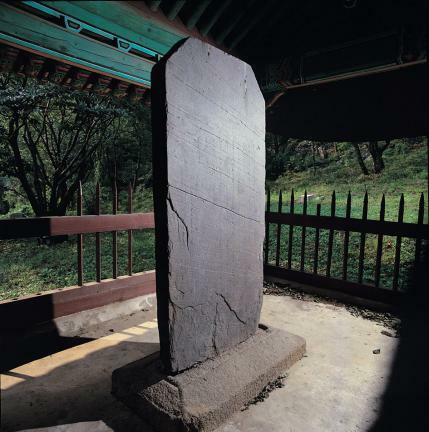 The stele exhibits the new and simple style introduced during the late Goryeo Dynasty.